Raith Rovers made a disappointing start to their Championship campaign today, losing out to a solitary James Keatings strike in a frustrating 1-0 loss to Hamilton. 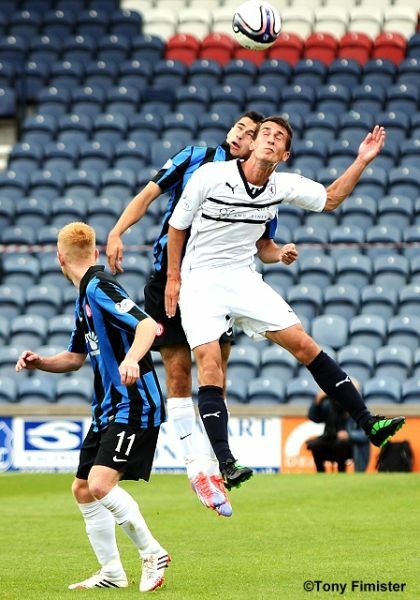 Raith lined up with the same starting eleven that began last weeks 6-0 win over Queens Park, while Hamilton were without the suspended Martin Canning and the injured duo, Louis Longridge and Jonny Routledge. As a result, Hamilton started with three at the back and five strung out across the middle, with player-manager Alex Neil protecting the defensive trio. The game started slowly, with Hamilton enjoying the lions share of possession and they were the first to threaten when a Lee Kilday flick on was gathered in the box by Darian MacKinnon, but his turn and shot was ineffectual. The early part of the game saw Alex Neil heavily involved, with the 32-year-old stamping his authority on proceedings. At times however he was doing so quite literally, and his poor challenge on Calum Elliot probably merited more than just the warning that was dispensed by referee Crawford Allan. 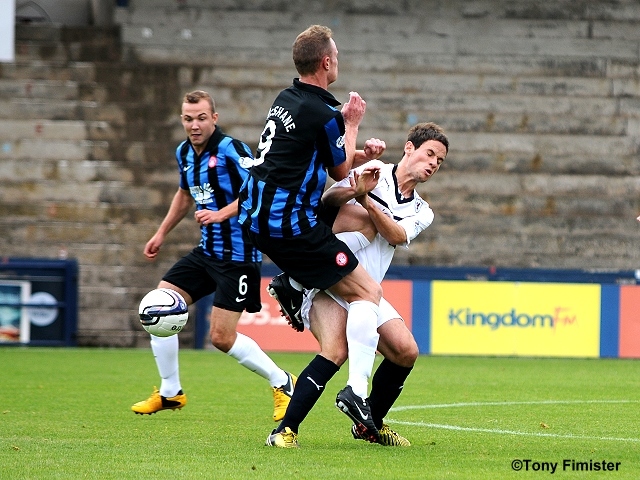 It took Raith almost a quarter of an hour to register their first meaningful attack, but Kevin Moon’s half-volley was never troubling Accies keeper Kevin Cuthbert. A few minutes later Calum Elliot provided the first effort on target, but his well struck drive was hit straight at the keeper, who gathered it easily. 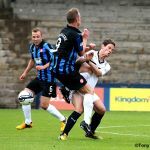 The game was failing to get going, with Raith struggling to gain possession from the numerically advantaged Hamilton midfield, while the flow of the proceedings was being disrupted by niggly fouls and regular stoppages. The best chance of the half came after 26 minutes, and it should have seen the visitors take the lead. 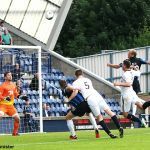 Grant Gillespie had the first opportunity, but his effort was well blocked by Hill, but with the Raith defence failing to clear their lines, Ali Crawford had the ball teed up to him, but he wastefully blasted the ball over the bar from the edge of the box. Dougie Hill then came to the rescue again with a perfectly timed tackle on MacKinnon, just as the forward looked ready to pull the trigger. 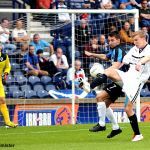 The last goalmouth incident of the half saw a long throw by Ziggy Gordon flicked on by Jon McShane, but David McGurn was alert enough to spot the danger and cut it out. The second half began in much the same way as the first, with Hamilton looking the stronger in the tackle, and the first to every second ball. 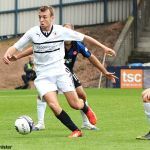 Raith’s most creative outlets in the opening two games had been Callum Booth and Joe Cardle, but they were struggling to exploit any weaknesses in the Hamilton defence. One thing that did change was that Neil, who had bossed proceedings in the opening period was given less time on the ball at the start of the second. 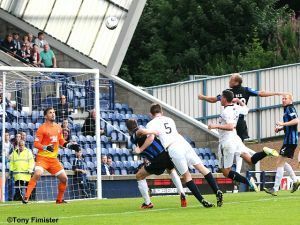 He was caught in possession in the middle of the park, but the counter attack was stopped by Stephen Hendrie who sliced the ball over the Railway Stand, and for the first time in the game, you felt the momentum may just have been swinging Raith’s way. After 55 minutes Cardle and Booth combined effectively for the first time, and it almost opened the scoring. Cardle help up the ball and fed it to Booth, who was gallivanting down the left hand side. The young full-back put in a great cross but for Smith but it was just too far ahead of him, and the chance was lost. Cardle was the next to create, his cross to the back post was met by Anderson but he was blocked off by Kilday. The home side were starting to look the likelier, and Hamilton’s earlier dominance seemed to be fading as Neil’s influence lessened. Again, a cross caused danger in the Accies penalty area, with Watson and Hill both going for the same ball which Cuthbert seemed to fumble around the post. With Rovers struggling to create anything from open play, Grant Murray chose to freshen things up, and Greig Spence replaced Gordon Smith with half an hour remaining, and the striker was straight into the action, almost latching on to a Calum Elliot knock down. 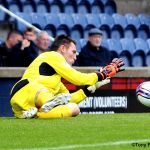 Despite the change, and even though Raith had looked the more likely to break the deadlock in the second half, it was Hamilton who took the lead in the 67th minute. Darian MacKinnon was unlucky to see his fierce drive tipped round the post by McGurn, but from the resulting corner swung in by Ali Crawford, James Keatings found space from close range to force the ball home. 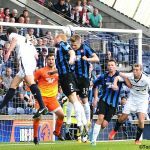 If the Raith fans expected the Rovers players to put Hamilton under pressure during the final twenty minutes then they were sorely disappointed. Galvanised by having a lead to defend, Neil and his charges doggedly dug in and prevented Rovers from having any space to work with. Indeed, despite playing with two out-and-out wingers in Cardle and Anderson, Rovers managed to create little of note. A late chance for Hill goes begging. 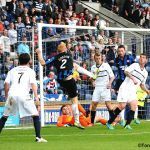 The loss was Raith’s first opening day defeat since 2006 when they lost 2-0 to Morton, and while Raith will feel aggrieved at losing a goal when they were in the ascendency, Hamilton’s fans left Stark’s Park feeling the better team had prevailed. They certainly had the games best player in Alex Neil, who was at the heart of most of Academical’s good work, while his tactics left Raith starved of possession and unable to break down their resistance. 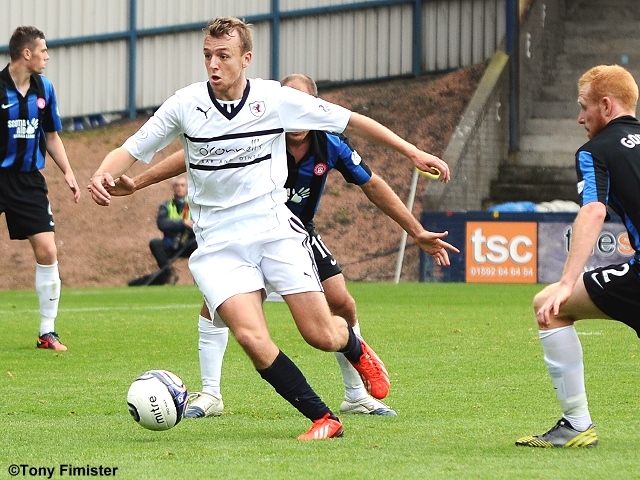 Raith will be hoping to bounce back next Saturday against Cowdenbeath at Central Park. Thomson slides in to deny McShane. Excellent defending. Elliot penalised for barging into a Hamilton player on the corner of the box. McGurn holds the free kick. Anderson and Cardle both helping out in defence when Hamilton break. The game's lively even if its short on incident! A hard fought and even first half. Lots of committed play in midfield, there'll be cards and hopefully goals in the second half! 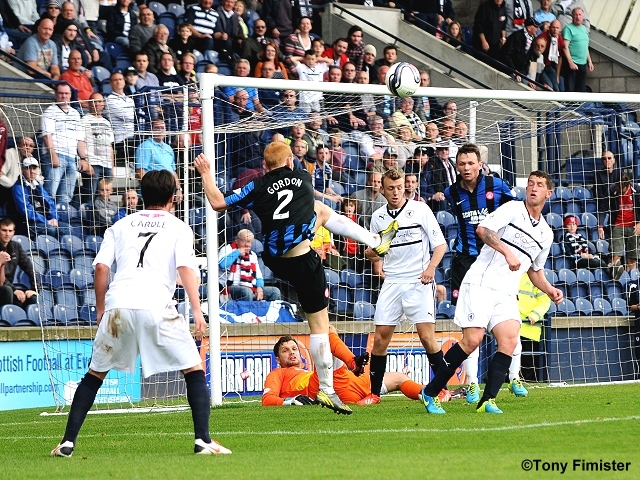 Cardle just fails to connect with a Thomson cross. The game's still being played at a very fast pace. Spence on for Smith. 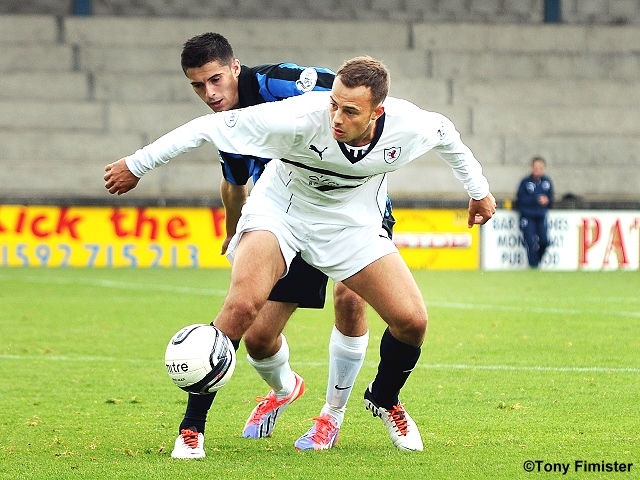 Rovers now unfashionably wearing numbers 1 to 11! 0-1. 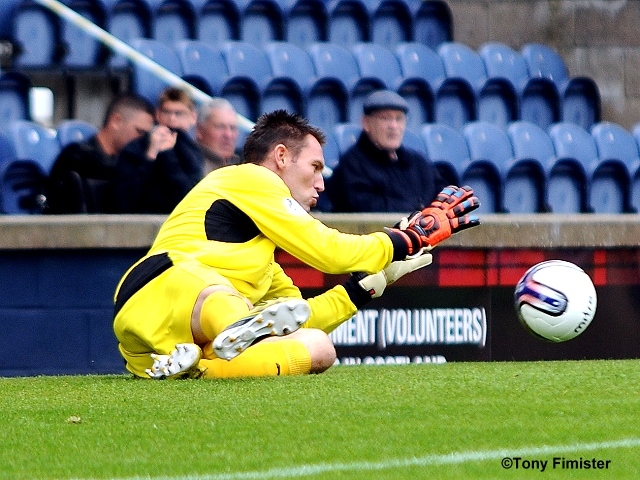 Keatings heads the corner in. 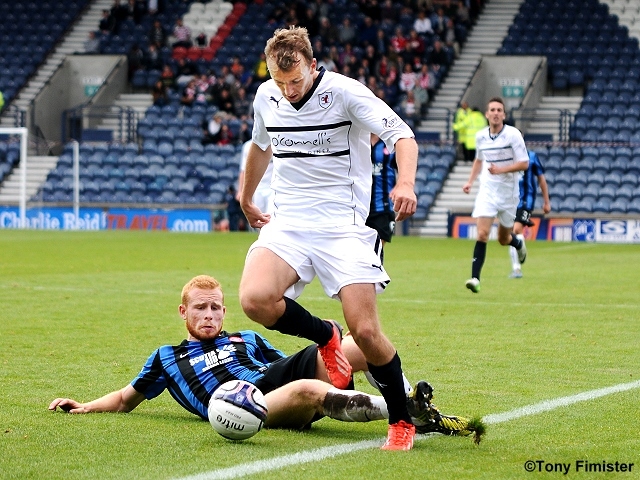 Raith have been on top, so its a tough one to take. Appalling refereeing. THREE reckless challenges on Anderson go unpunished, and then Cardle is penalised for a fair challenge on the keeper to reach the cross. Inches wide from Anderson. Looked like a corner, but not given. Booth named man of the match. Well deserved. That's it all over, a good match that Rovers deserved to take something away from.